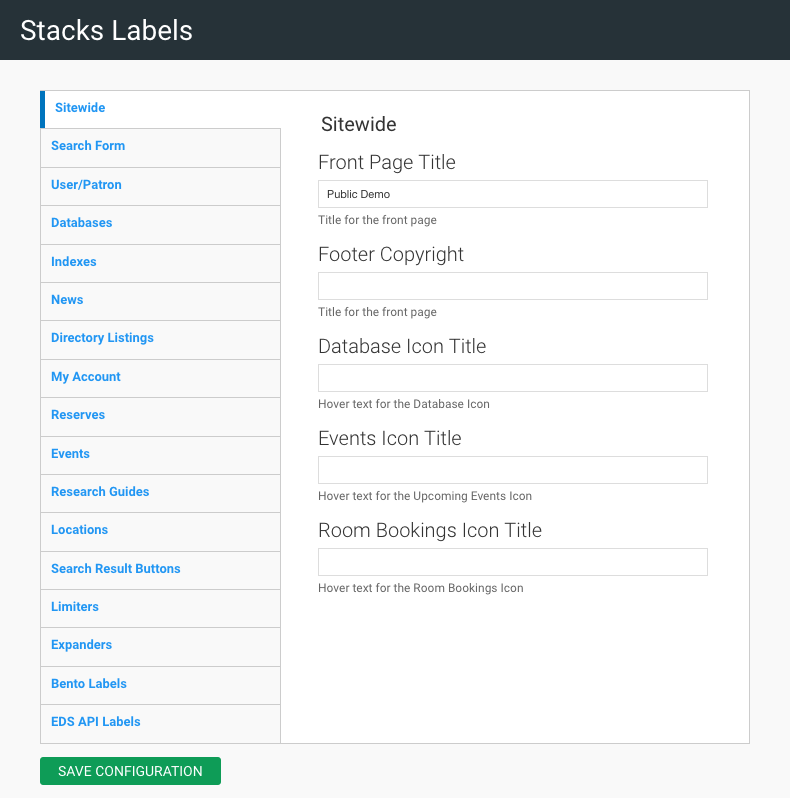 You can customize frequently used and site-specific labels. Any text provided in these fields will appear as the corresponding label, title, or placeholder text. Search Form Field Title: Title text for the Index Page search form. Search Form Button Text: Text for the indexes search form button. Filter Form Field Title: Title text for the indexes filter form field. Filter Form Sort Title: Title text for the indexes filter form sort field. Filter Form Button Text: Text for the indexes filter button. Featured Title: Title text for Featured indexes area. Results For Label: Label text for "results for"
Your Filters Label: Label Text for "Your Filters"
Reset Filters Label: Label Text for "Reset filters"
Refine Search Label: Label Text for "Refine Search"
Record details Label: Label Text for "Record Details"